Considering installing a second operating system, and want to be aware of the risks? 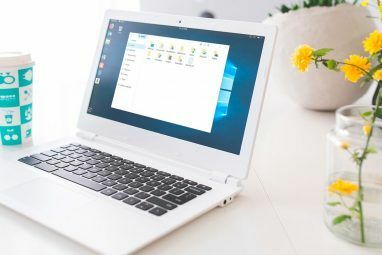 Having Windows and Linux installed on your PC can increase productivity and give you the option of trying out a new OS. But it isn’t always smooth sailing. While most of these issues can be avoided, there are easy problems to fall into. Here are seven dangers of dual booting that you should be aware of before installing a second operating system on your PC or laptop. If this isn’t the most important, it’s certainly the risk that can scupper you before you even get started. After all, overwriting your existing data — or even the primary operating system — is going to lead to considerable problems. Sure, you can use recovery tools, but the chances of recovering all your data are minimal. Fortunately, most operating system installation wizards are capable of detecting primary partitions. This means that if you’re installing Windows alongside a Linux distribution, the wizard should highlight the existing partition and give you a choice of what to do next. Linux operating systems, meanwhile, are similarly smart. But accidents do happen, so take care when installing. Make sure you’re installing the new operating system onto the intended device, and the right partition, without accidentally losing your data! Running multiple operating systems on your PC is a great way to maximize productivity. But sometimes it can be counter-productive. If you have a particular need to use, say, Windows 10 alongside Ubuntu 16.04, then it’s great to be able to switch into that operating system. But do you really need to? 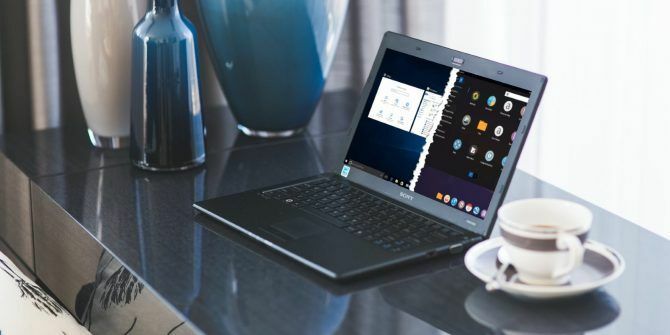 Making sure you have alternative applications in Linux Some Great Linux Alternatives For 4 Tasks Normally Requiring Windows Some Great Linux Alternatives For 4 Tasks Normally Requiring Windows Linux has been receiving plenty of attention lately and none of that is going away anytime soon. You can now do things with Linux that you might’ve thought would only work in Windows. Here are... Read More if you have switched from Windows is important. Similarly, you should ensure suitable options are available if switching the other way. Dual booting should really be for experiencing — and enjoying — the whole alternative operating system environment. Then again, you might not even need to switch. Running Windows in a virtual machine on Linux How to Set Up a Windows Virtual Machine in Linux How to Set Up a Windows Virtual Machine in Linux Many home users prefer to run a dual-boot setup when both Windows and Linux are needed, but if you'd rather run Windows inside Linux, here's how to set that up. Read More is a great solution. Naturally, you can also install Linux in a virtual machine on Windows How to Install Linux in Windows With a VMware Virtual Machine How to Install Linux in Windows With a VMware Virtual Machine Do you want to install Linux, but can't leave Windows? Try a virtual machine to run your favorite version of Linux inside Windows. We show you how to set up VMware Workstation Player. Read More . Ultimately, it’s important to make sure you’re using the best operating system for the task at hand. 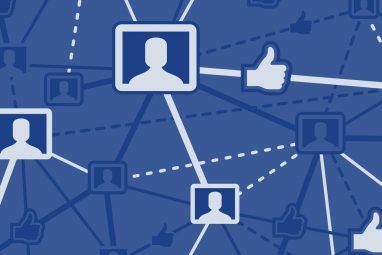 Check our guide to sharing data between dual-booting operating systems 5 Ways to Share Personal Data on Linux-Windows Dual Boot PCs 5 Ways to Share Personal Data on Linux-Windows Dual Boot PCs You want ability to access data between operating systems so you can use Linux easily. Let's see how we can work around this problem, and get your data where you want it. Read More to minimize disruption when switching. Perhaps one of the biggest pitfalls of dual booting is being unable to access your data. Most of the time, this shouldn’t be a problem. If you have organized things effectively (perhaps you sync data via the cloud, or use a dedicated HDD for personal files), then you’ll find your vital personal files are available via whatever operating systems you have installed. Command-line `mount -t "ntfs" -o "uhelper=udisks2,nodev,nosuid,uid=1000,gid=1000,dmask=0077,fmask=0177"
"/dev/sda5" "/media/karma/data"' exited with non-zero exit status 14: The disk contains an unclean file system (0, 0). Operation not permitted The NTFS partition is in an unsafe state. Please resume and shutdown Windows fully (no hibernation or fast restarting), or mount the volume read-only with the 'ro' mount option. As it goes, this is perhaps the most frustrating risk of dual booting. Fortunately it can be fixed, but it might take a few minutes (depending on how quickly your Windows installation boots). One option is to follow the instructions in the error and boot the device as read only. Or you can simply reboot into Windows, and the files will be accessible again. Follow this with an ordered restart to boot back into Linux, and again, the files are available to use. Updating your OS is one of the most important steps you can take to ensure a robust and secure computer. Unfortunately, it can lead to problems in dual booting scenarios. Whereas a system update from your Linux distribution of choice should result in few (if any) issues, a Windows Update can prove devastating. Even if it installs successfully, Windows Update can lead to a rewriting of the Master Boot Record (MBR), leaving you with a missing Linux partition. But failed updates, or even simple driver updates, can result in trouble on a dual boot PC. While Linux can be the victim of problems with a standard Windows Update, a failure will more often than not leave you with a copy of Windows that fails to start. In this situation, it’s time to resort to the tried and tested Windows 10 recovery tools How to Reinstall Windows 10 Without Losing Your Data How to Reinstall Windows 10 Without Losing Your Data Using this option allows you to reinstall Windows without losing the files, personal data and programs you already have on the system. Read More . Although time consuming, if you really need to run Windows, this is the way get it working again. For the best results, ensure that your computer’s boot order defaults to Windows, rather than your Linux OS. Linux is famously virus-proof (even if this isn’t quite the truth 4 Surprising Linux Security Issues You Should Be Aware Of 4 Surprising Linux Security Issues You Should Be Aware Of They say you should use Linux if you want security. That might be true, but you still need to be on your toes! Read More ). Although Linux-based operating systems are pretty robust, they remain largely untroubled by viruses and other malware thanks to the relatively small userbase. The many Linux operating systems collectively command only a fraction of the operating system market. Clearly, scammers target Windows computers because it’s more efficient for them to get results. However, many websites are attacked or even taken offline due to viruses and malware, and most web servers run on Linux. If you’re running a dual boot computer, therefore, the likelihood of malware affecting the Linux environment increases. As such, it is wise to maintain an internet security suite when running Windows. In your Linux operating system, running a malware scanner like ClamAV daily should also put your mind at rest. Don’t just focus on the operating system when scanning for viruses; take the time to scan your personal data files too. From time to time, some hardware issues can occur when dual booting. These are typically linked to Windows device drivers, however, and are becoming increasingly rare. Perhaps the most common hardware issue when dual booting comes in the shape of built-in wireless network cards. These switchable devices can end up being disabled in Windows, and therefore unable to initialize in Linux. Why? Aren’t these operating systems completely independent of each other? Well yes, but the wireless card is hardware, and can be controlled via the system BIOS. In some ways, the disabled Wi-Fi card recalls the issues with a locked partition discussed in #3, above. The solution is to research support for the wireless card before installing your operating systems. You should also ensure the drivers are up to date on both operating systems. In most cases there shouldn’t be too much impact on your hardware from dual booting. One issue you should be aware of, however, is the impact on swap space. Both Linux and Windows use chunks of the hard disk drive to improve performance while the computer is running. However, by installing a second (or third) operating system on the drive, you reduce the amount of space available for this. The solution here is obvious: don’t install additional operating systems if there is not enough space to do so. If you’re desperate to dual boot on your PC, then you can simply buy a new HDD or SSD. Once installed, you’ll have the space to more operating systems. As for laptops, you could try what I did: remove the optical drive and replace it with a 3.5-inch HDD or SSD How to Upgrade Your Laptop DVD Drive for a HDD or SSD How to Upgrade Your Laptop DVD Drive for a HDD or SSD DVD drives are becoming more and more useless. We show you how to upgrade your laptop DVD drive with a 2.5-inch HDD or SSD. Read More . Do You Have Dual Booting Issues? It’s extremely unlikely that you would be impacted by ALL of these risks. However, at least one, perhaps two, are likely to occur at some point. But nothing here should put you off dual booting. Ensuring your system is set up correctly is important, and can help to mitigate or even avoid these issues. If you would still like to go back to a Windows-only setup, you can safely uninstall the Linux distro from a Windows dual-boot PC How to Safely Uninstall Ubuntu From a Windows Dual-Boot PC How to Safely Uninstall Ubuntu From a Windows Dual-Boot PC Installing Ubuntu on Windows PC as a dual-boot didn't go so well? Here's what you need to know about uninstalling Ubuntu. Read More . Explore more about: Dual Boot, Linux, Windows 10. The biggie is #4 I lost count of the number of dual boots microdoft gleefully bricked with their Spring 2018 update. Microsoft = bad actor! Not acting in good faith they are vicious and obviously need more government bruising. Been dual booting for years now. Pretty easy now with UEFI as you can use the built-in tools to switch operating systems. No need to worry about the MBR getting corrupted or dealing with grub configs and I can even use bitlocker on Windows with the TPM no problem. Now I use Linux the majority of the time and only have to boot Windows to play some Windows exclusive games. The main problem I've had has been using the same set of Bluetooth headphones between both OSes. Was able to fix that simply by coping the sync key from the Windows registry to a config file in Linux. Too many issues can come from dual booting. You have 2 completely different OS paradigms trying to tell the computational device what to do; the cooling system; the BT & WiFi chips; drivers; video cards; the list goes on. Therefore, it is not wise to have 2 operating systems on one device, and especially running them concurrently, and especially nowadays when SFF-PC's and laptops are so cheap, relative to the past. Easier to just have 2 or 3 devices; a PC for heavy work at home; 2 thin laptops for portable work, and also a communications handset (smartphone). I'm an amateur computer builder and re-modeler; I help people install Linux Distros onto NUC-PC Kits and also refurbish laptops by replacing the older HDD's with SSD's and then installing a Distro. I steer people away from Microsoft and Apple products (altogether) and move them gently into a more open source (FOSS) tech world. I thought this would be a real article. Sad to see how wrong I was. "Make us of" seems to be an very unreliable publisher. Good to know I won't have visit this site again. I’m with you on that. This site is useless. Seriously? Try again Make Use Of. I thought this site was better than this. People who even thinks of installing an OS on their own will have enough technical knowledge not to run into most of the **risks** listed here. The way I dual boot in my laptop without having the space issues is that I installed Ubuntu on the main hard drive then put that drive in a external drive case and installed windows on a new drive in the laptop, I can run the external drive with Ubuntu on it as a USB drive and amazing enough it is still faster than the installed windows. I've had to dual boot Linux and Windows since the turn of the century. Its the only way I can keep Windows functional. The laptop i use now has had the same Arch Linux I put on it since i got it 3 years ago, while it has seen 4 versions of barely working Windows. What a bunch of misinformation. I don't even have time to list all the inaccuracies. These types of Articles crack me up I've been running dual boot quad boot 10 boot for probably 20 years now and yes you can mess up your system if you personally screw something up but in most cases if you know what you're doing, it comes out fine. Besides that it should be noted that it wouldn't matter what the two operating systems are if you flaw it up you flaw it up. Yup almost bricked my motherboard and nearly killed my windows install. I found this supper weird since they where on different drives. Not to go into detail but i did the trouble shooting and that was the actual culprit. I have had almost no issues with dual booting. I have an old computer that has 2 hard drives. On one I have Windows 7 and on the other I have Ubuntu Mate. The only minor annoyance is whenever I go from Linux to Windows, the time and date need to be re-synced with the internet. And NEVER do virtual machine. It uses too much resources in your computer to run 2 operating systems. 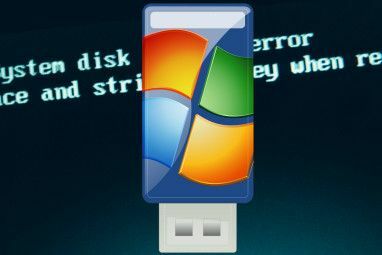 They run slower; certain things never run correctly; frequent computer freezing and lockups; and a bigger risk if you catch a Windows virus while using Linux. And, yes, you may find yourself using Linux 99% of the time, and almost no time in Windows, so why not use it the best way...a full install. Think again - a VM *is* a full install. You're much better off creating a VM and suspending it when you don't use it rather than dual boot. Too many things can go wrong with dual boot (hence this article), while VM isolation guarantees no contamination between the two environments (such as OS-specific viruses). When dual booting, each O/S gets full access to ALL of the system resources. A VM runs inside an O/S, borrowing resources from the O/S. Whether you suspend it or not, it has to share the resources. No matter how you slice it, dice it and spin it, sharing resources always results in a slowdown. Dual boot means you lose all access to the OS that's not booted. A suspended VM has almost no performance hit on the running OS, and a powered off VM has none. It's worth the minor trade off knowing that if you need to get to the VM's OS, you just start up the VM and shut it down when you're done. Why would anyone want to have to rebooting the native OS?! Ain't nobody got time for that. It seems like you don't use Hypervisors and Citrix much. VMs are the ways to go with modern infrastructure and multi-core computers having large amounts of RAM. Your time issue is a configuration problem. Windows likes the RTC to default to local time while *nix systems like UTC. Setting them so they are both using either UTC or local will eliminate the problem. Virtual Machine uses almost no overhead if you do hardware passthrough. I have windows VM that benchmarks within 3% of windows on a bare metal install. This is with 1080ti passed through to windows for gaming. Score 8400 on timespy, 8600 with Windows on bare metal. That is hardly slowing things down. Did you ever figure out how to fix the time error? Same issue when going Linux -> Windows, the clock is off and needs to be resynced. Linux uses UTC and Windows uses localtime. Which is why it breaks the windows clock going from linux to windows. Windows thinks the hardware clock is set to localtime and adjusts accordingly, when it's actually set to UTC. You can fix it with a regedit. Depending on which version of windows you're running. It's usually run regedit, navigate to HKEY_LOCAL_MACHINE\SYSTEM\CurrentControlSet\Control\TimeZoneInformation\RealTimeIsUniversal then add a dword value of 1. Okay. So the majority of these are non issues. Most of them would require you to actually be TRYING to break things to acheive. More importantly... That first screenshot is the WUBI install on the 2012 Ubuntu... What the heck? No one could find a more recent actual dual boot screenshot instead of the weird hybrid dual boot from inside windows that disappeared almost instantly? Actually, it makes more sense to do VMs than doing dual boot based on your reasoning. In my home and personal machines, I have Linux Mint as hosts and Windows as guests only. Only apps that don't run/play well with Wine get to see the light of day in a Windows VM, most of which are in XP. Dual booting? How 90s. VMs, man, it's all about the virtual! VMware lets you run OS X, Linux, AND Windows on any hardware. I can relate to that comment. The only real reason I have to run windows these days in for the software I use for tax preparation, which can be dual boot or VM. Very little need to ever user windows again. Yes. I do wish Intuit and/or TaxAct and/or H&R Block would port their product to Linux. BTW - my comment was sort of tongue in cheek. That is why I quit dual booting. The only time I used Windows was to update it and run virus and adware checks. Took up way to much time for nothing. Now I only use Linux.